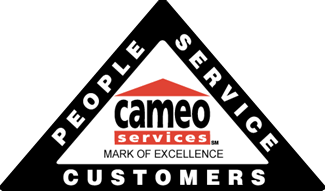 Mold Remediation | Cameo Services, Inc. The introduction of excess moisture or water, such as a pipe leak, can allow mold growth to occur in as little as 48 hours. If mold spores develop, it is important to remediate the area as soon as possible. The allergens and irritants that could result have the potential to be hazardous to your health. Our expert technicians have the products and equipment to restore your home or business back to a healthy, clean, and safe environment. You can expect our company to provide exemplary service and assistance while treating your property like it was our own. Mold spores can be found just about anywhere- indoors and outdoors. Almost any substance can harbor mold growth, as long as oxygen and moisture are present. In order to properly treat the mold problem, it is necessary to also address the water or moisture source. When exposed to water, mold spores can multiply into colonies, which often look like spots and can be many different colors. There also may be a strong, musty odor in the air. Having the ability to trust one restoration company is very important to us. Our team has become skilled in multiple trades, so we are able to handle your mold remediation project from start to finish. From the initial mold removal and treatment to final repairs and reconstruction, you can count on us handle it all.